Here we have free worksheets and resources to do with distance-time graphs and speed-time graphs. A worksheet about distance-time graphs. 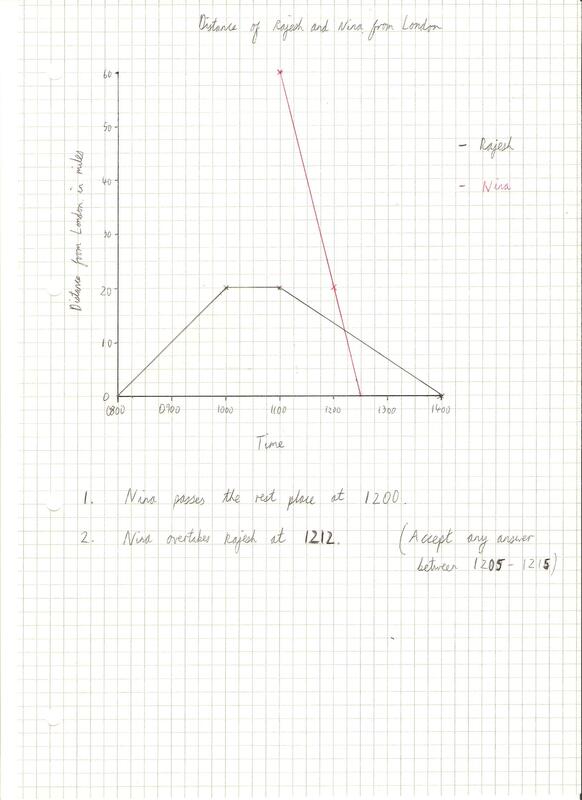 Pupils are required to draw their own graph and answer questions about it. Great for a homework. A worksheet about speed-time graphs. Pupils are required to watch the Terminator video below and time the different incidents mentioned on the sheet. This information can then be used to draw a speed-time graph. This is a fantastic lesson that observers will love and ticks all the boxes for an outstanding lesson. For a fun plenary, draw the resulting speed-time graph on the board and invite the class to do the sound effects of the journey as you move along the graph with your finger e.g. motor noises for a positive gradient, screeching brake sounds for the strong negative gradient. Required: stopwatches, electronic whiteboard/data projector, video below. Read this article to find more ideas for hands on maths lessons. This video clip from Terminator 2 accompanies the speed-time graph worksheet above. Alternatively, click on the link below to buy the dvd from Amazon. This video is hosted via YouTube.